Cypress, CA (April 14, 2016) – Christie and Evans & Sutherland helped make a dream come true at the Center of Science and Industry (COSI) planetarium in Columbus, Ohio. Using Evans & Sutherland’s Digistar 5 system and two Christie D4K2560 projectors, audiences experience intergalactic journeys and the latest scientific discoveries. 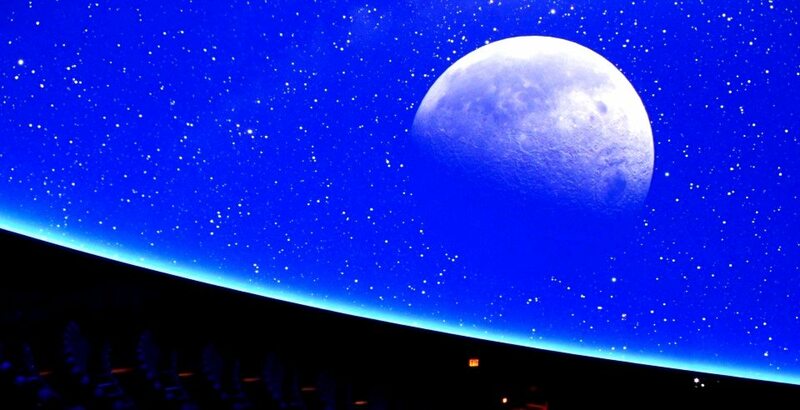 Closed from 2004 to 2014, the reopened planetarium draws over 100,000 visitors annually thanks to the efforts of the Columbus community, COSI Team, Evans & Sutherland, and Christie projection technology. In its earlier incarnation, the planetarium used Evans & Sutherland’s Digistar 2 – which was state-of-the-art for its time – but with the reopening in 2014, it was time for the latest and best technology. And audiences and the COSI Team couldn’t be happier. “Upgrading to the Digistar 5 system with the Christie projectors was huge for us. This system does everything we ever wanted a planetarium to do or wished it could do,” said Kate Storm, Director of Theaters, COSI. Storm said audiences are impacted by how immersive the planetarium experience is now. The technology has evolved from wireframe models to fully rendered images, increasing the level of engagement. And because of the Christie projectors and Digistar 5’s flexibility, the planetarium features a ‘Science Now’ component where new discoveries, such as gravitational waves, can be shown within hours instead of weeks. The planetarium – and COSI as a whole – is also helping local students prepare for standardized testing. Fifth-graders were struggling with the abstract concepts in science and astronomy but a day at the planetarium changed that. “Evans & Sutherland explained everything very clearly to us. Everything went as smoothly as it could have gone and they hit the timelines. I loved working with them and we have cultivated a special relationship with them,” concluded Storm.